Our journey today is to the Spanish Costa Blanca where we visit the cities of Alicante and Benidorm. Costa Blanca, literally in English "White Coast", refers to over 200 kilometres of Mediterranean coastline in the Alicante province of Spain. The name "Costa Blanca" is not really Spanish at all- it was devised as a promotional name by BEA when they launched their air service between London and Valencia in 1957. 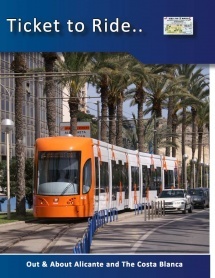 The Costa Blanca has a well-developed tourism industry - a popular destination especially for British and German tourists. We look at the sights, things to do, hotels and eating and importantly how to get around the area using the extensive public transport options available. 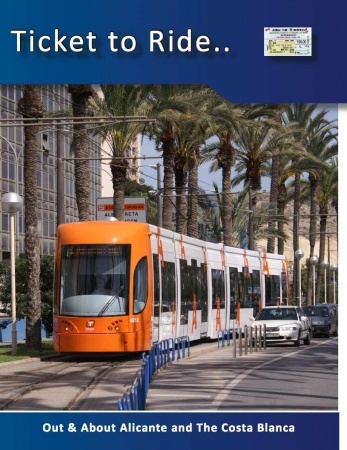 We build our visit around the metre gauge tram-train that runs from the centre of Alicante along the Costa Blanca to El Campello, a market town and fishing port of 26,000 and then onward to Benidorm the largest resort complex in Europe. We look at the local railway- the Ferrocarriles de la Generalitat Valenciana, or FGV- plans for the future that include a station under Alicante Terminus railway station and an extension alongside the main rail line to the airport. Finally we look at the railway geography of the city including the new AVE station and the comings and going over the mainline to Murcia and Valencia.